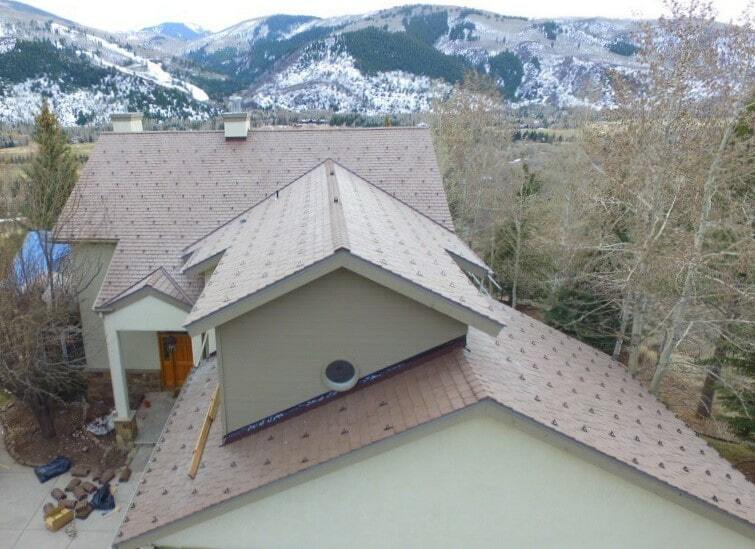 When Matthew Harris purchased his Colorado home three years ago, he knew the failing cedar shake shingles would be one of the first major home improvement projects on his “to do” list. Now, with new synthetic roofing overhead, he can exhale and know that his home is protected from all types of weather conditions. As Harris started his roof replacement research, he learned that his homeowner’s association required DaVinci Roofscapessynthetic roofing products. To handle the synthetic roofing renovation Harris selected TCC Roofing Contractors, Inc.
“We love the transformation of this roof from a 20+ year old problematic shake to a new DaVinci Slate roof system,” says Eddie Leiva, estimator/project manager for TCC Roofing Contractors, Inc. out of Eagle, Colo. “This was the second roof we’ve done lately where the homeowners are switching from a shake system to a synthetic slate. This is a way for people to put their own ‘style stamp’ on their home. “They kept me informed at every step and worked with me on all our requests,” says Harris. 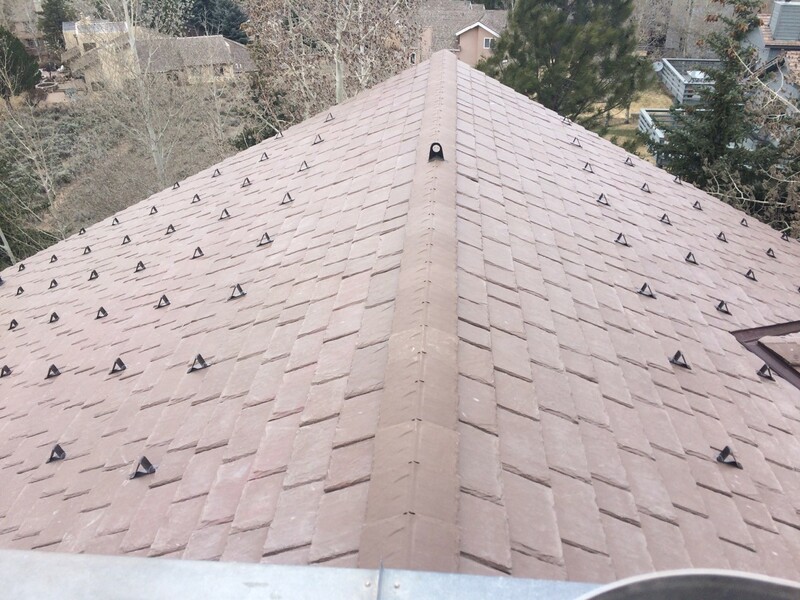 “It was impressive to see that they knew all about the stringent requirements of installing roofing materials in the Colorado high country. The process appeared to go smoothly and TCC Roofing’s installers were very knowledgeable and skilled in the installation process.